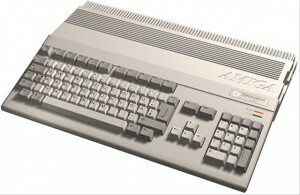 Apart from establishing that the Amiga was far superior to the Atari ST, if you were still playing 8-bit computer games that the Amiga was the way to go and providing an albeit expensive alternative to the fledgling console market, what else have we learned about the Amiga during the merry month of April ? Well the variety of titles were there. There were plenty of groundbreakers too – Another World, Flashback, Kick Off, Sensible Soccer and Populous to name but a few. 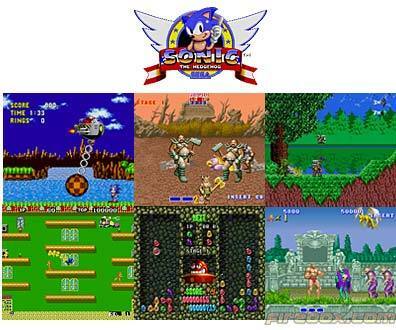 The fact that all of these ended up on consoles goes to show the quality of the games and their enduring appeal which very much catered to all markets. The best thing though is that, unlike the PC at the time, the Amiga was very much at it’s best whether it was used for programming, educational uses or games. The PC simply couldn’t hold a candle at this time if you wanted to play games software. 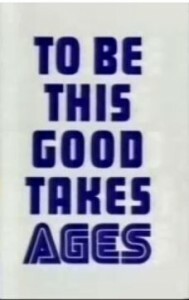 So, with a last hoorah we wave farewell to the Amiga with much sadness in the heart, but look forward to May where the Sega Master System steps into the limelight….. 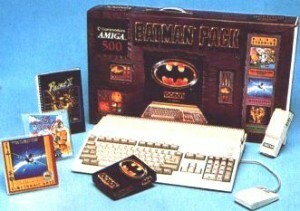 When I first got my Amiga it came with just 3 games, of which 2 were awesome Ocean Software releases (Batman The Movie and New Zealand Story). The other was F-18 Interceptor and was my first taste of a flight simulator. It was only enjoyable for it’s San Francisco surroundings and the fact you could roll the plane under the Golden Gate Bridge. Otherwise it was confined to the back of the drawer. The rest of the software was educational and most of it was a waste of time especially the word processor as it needed another 512K worth of memory in order to be able to save things. Thus my first few pages of my first draft of a new Pink Panther movie was never saved. I think considering how the Steve Martin remakes turned out, it was a crying shame mine was never saved and unleashed on the world. Anyhoooooooo no more crying over spilt milk, time for some more Amiga goodness……. I’ve always been asked what sort of games I prefer. Do I prefer First Person Shooters ? Well I like the original Goldeneye on the N64 and the early Medal Of Honour/Call Of Duty games, but not the modern versions. I love sports games, although playing anything pre Kick Off is now nothing more than a retro chore (with the exception of Emlyn Hughes’ Football). 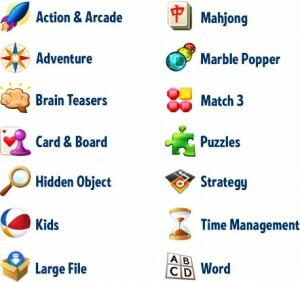 Puzzle games are OK, but give me Tetris and I’ll be happy. I love good arcade conversions and original games but I am not the world’s biggest fan of film and TV tie ins. So this next batch of Amiga games from my youth cover a lot of bases with the usual predictably mixed results….. The Commodore Amiga – a phrase that brings tears of happiness to the eyes of myself. Oh how many happy hours were wiled away in front of my monitor playing on a computer system which had been purchased purely for educational purposes. Yeah right, as if that was going to happen. You know that’s gone out of the window when your Dad starts buying American Civil War games and wants you to come off so he can have a quick pop at E-Motion. As we say goodbye to the Mega Drive, in closing it is worth saying that this is one of my most favourite machines ever. It looked cool, it played your arcade favourites and brought some arcade quality into the home, producing new gems such as Streets of Rage and Sonic that are iconic masterpieces of video games programming. One final thought – when the Mega Drive first launched in Japan it was possible to import Mega Drives into the UK Legally. These were known as “grey imports” which led to much confusion. We all thought the Mega Drive was black and wondered if we did get one, it would be a dodgy grey coloured version. 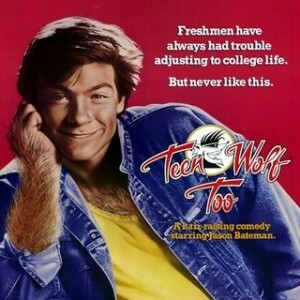 Oh how we had much to learn……..and we all waited for the original UK release. Well my mates did, I had to wait until 1994 to buy a second hand version from a chap at college. Anyway I digress – here are the final few Mega Drive March Madness games……….. The great joy with Mega Drive collecting is the fact that there are masses of games to pick up and play. 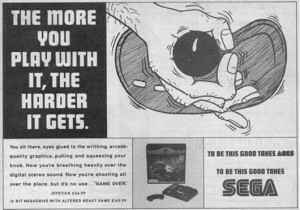 Unlike cassette based games, where tapes may have stretched or warped with time, or disk based games where the disc may be damaged or simply perished due to the age, the only real problem you can find with cartridges is a few dirty connectors. Give them a spruce up and more or less 8 or 9 out of 10 will work without any problems. They are easy to store if out of the original box, and if you aren’t fussy about all the original packaging they can be picked up as cheaply as £1.00, or even less if you get lucky. Clever that isn't it ? Games, games, games. Tonnes of them around and I choose to play all the really old ones. Well someone has to and seeing as I am not overly fond of the way the current games market sits in terms of getting to grips with the modern titles and methods of playing, simply give me a joypad, minimal fire buttons and no motion sensor at all and I’ll be dead happy. It’s part 2 of this month’s Mega Drive games reviews…………. It’s only appropriate on Mother’s Day to post this article. Why ? Well back in the day having seen this following piece of kit shown off in all the magazines and through adverts on the TV, you would have been pestering your Mum to get this for you. And boy you’d be in for a crushing disappointment. 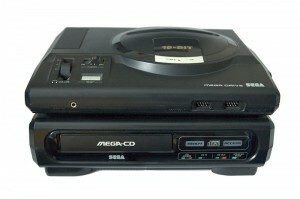 It’s the Sega Mega CD…. When a console reaches the end of it’s life cycle in these technologically advanced days, companies will look to the future and bring out a new improved machine to replace it. Granted, this could take a few years of development and testing but once a console’s time has come, it has come and the end is not far off. Back in the day, companies would look to add-ons and expansions to their existing machines to squeeze as much life out of it as possible.